March 27, 2018 -- Westchester County District Attorney Anthony A. Scarpino, Jr. announced Jerry Colon (DOB 01/24/80) of Yonkers was sentenced today to 12 years in state prison for his conviction stemming from a car break-in on South Broadway, Yonkers in December 2016. 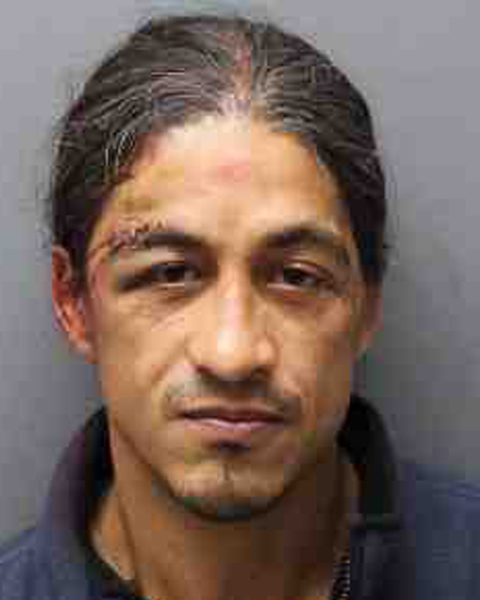 At approximately 2 a.m. Dec. 14, 2016, the defendant, Jerry Colon, broke into the victim's vehicle in a parking lot at 260 South Broadway in Yonkers. The victim, who was walking to his vehicle at the time, saw the defendant still in his Chevy Suburban. He attempted to stop Colon and get him to return an iPad and GPS device which the defendant had stolen from inside the SUV. The defendant then pulled out a box cutter which he swung at the victim in order to retain the stolen goods. Despite Colon’s use of a box cutter, which he swung at the victim at least twice, the victim was able to overcome him and hold Colon until police arrived at scene. Yonkers Police recovered the box cutter used by the defendant as well as the stolen electronics. The defendant's DNA was found on the box cutter recovered by police. Colon was convicted following a jury trial Friday, Feb. 23, 2018. The case was prosecuted by Assistant District Attorney James Bavero. In compliance with the Rules of Professional Conduct, Rule 3.6, you are advised that a charge is merely an accusation and that a defendant is presumed innocent until and unless proven guilty. 111 Dr. Martin Luther King, Jr. Blvd.